An astrologer who claims to have 'predicted' the Paris terror attacks says a natural catastrophe could wreak havoc on Northern Europe as a result of this week's solar eclipse. British Cosmobiologist Peter Stockinger says the stars are aligned for a significant event on Wednesday, March 9. He believes that was well as a serious weather event, a prominent assassination could occur. The solar eclipse will take place in the early hours of Wednesday and is part of the Saros Series 130 , a sequence of eclipses that began in the year 1096 and are set to continue until 2394. Peter says the event could spell death and destruction. After studying the charts, hot spots of activity are likely to be in Egypt, Italy, Spain, Turkey and Armenia, France, Portugal and Germany he believes. he 'Master Astrologer' who has spent 25 years studying philosophy, astrology and astrological techniques of medieval, Renaissance and Early Modern Europe - says the prophecies of 17th century astrologer William Lilly could come to pass. In 1647, Lilly published Christian Astrology, the first of its kind to be printed in the English language. He has been credited with educating "a nation in crisis in the language of the stars." 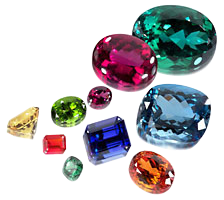 Peter says on his blog Stars and Stones : "According to William Lilly, we should expect a natural catastrophe and or the death of a prominent man." Similar occurrences in history also seem to indicate the possibility of an assassination," he continued. "If we cast our minds back to the last solar eclipse that took place on 13 September 2015, we may also remember that it was followed by the shocking Paris terror attacks, on 13 November." "In a blog post, published last August, I wrote about the solar eclipse, predicting the likelihood of murder to take place in Paris. Sadly, this turned out to be true." 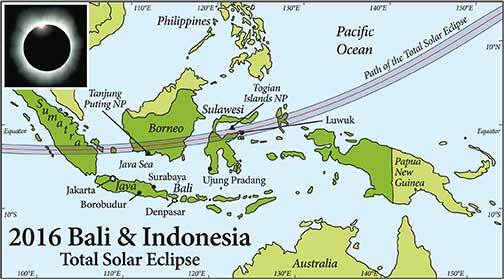 While it will not be visible in the United Kingdom, this week's eclipse will instead be seen in its totality in Indonesia and the Pacific Ocean. But the public should be on its guard says Peter because even though it won't be seen by the entire world - it will have far reaching consequences.